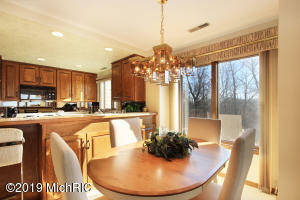 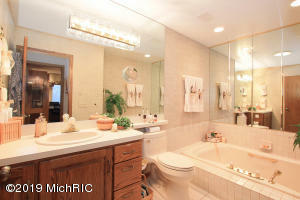 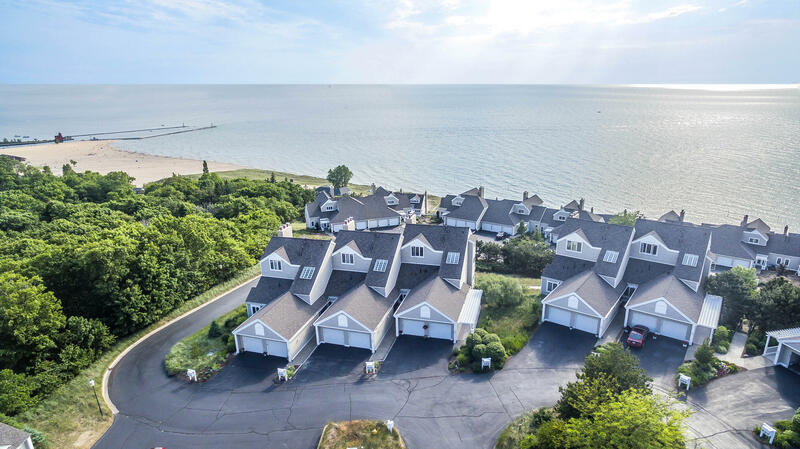 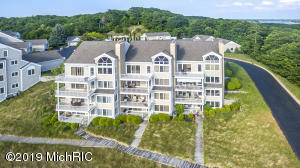 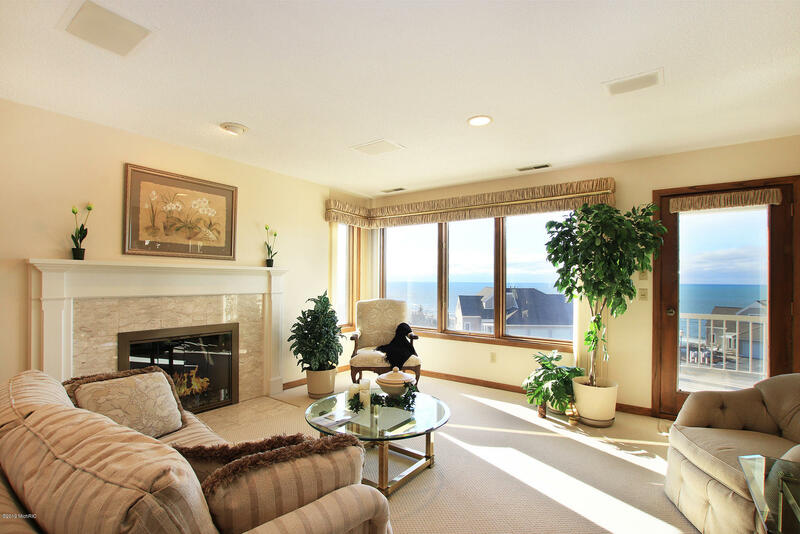 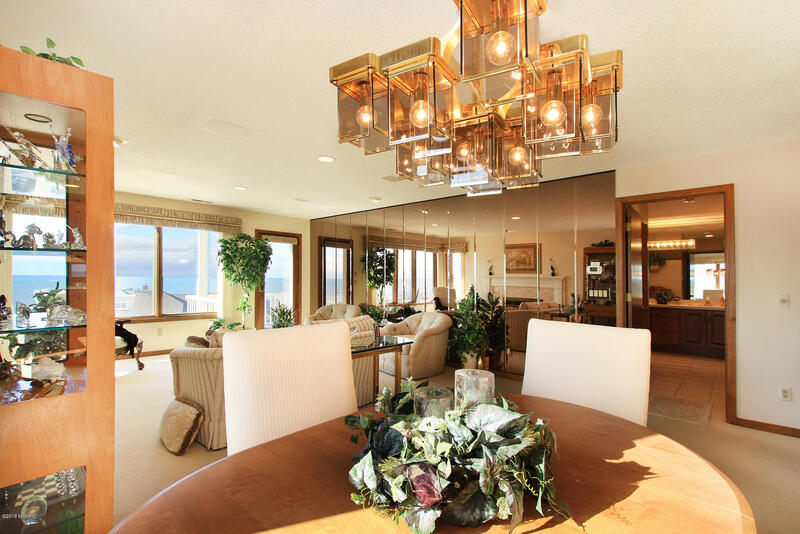 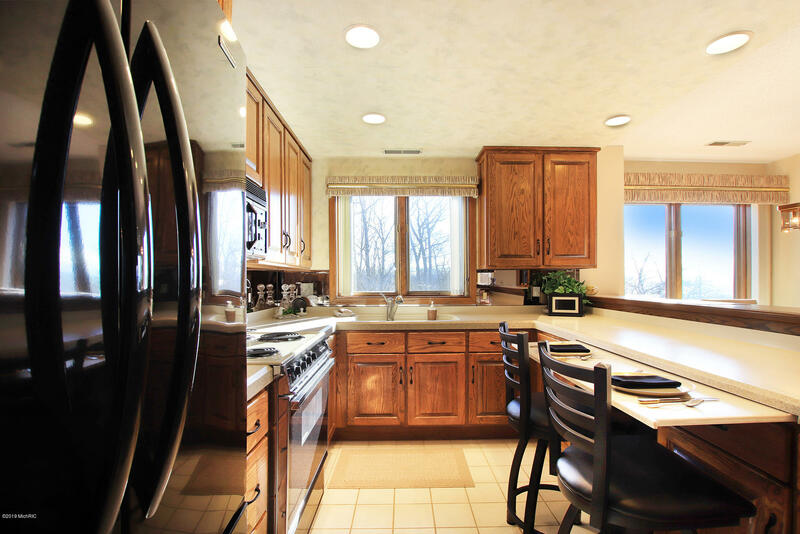 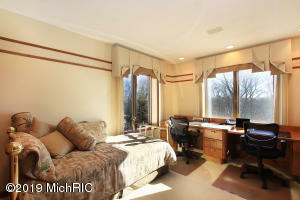 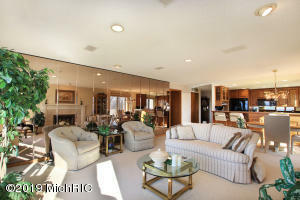 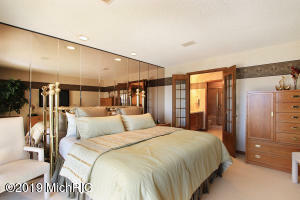 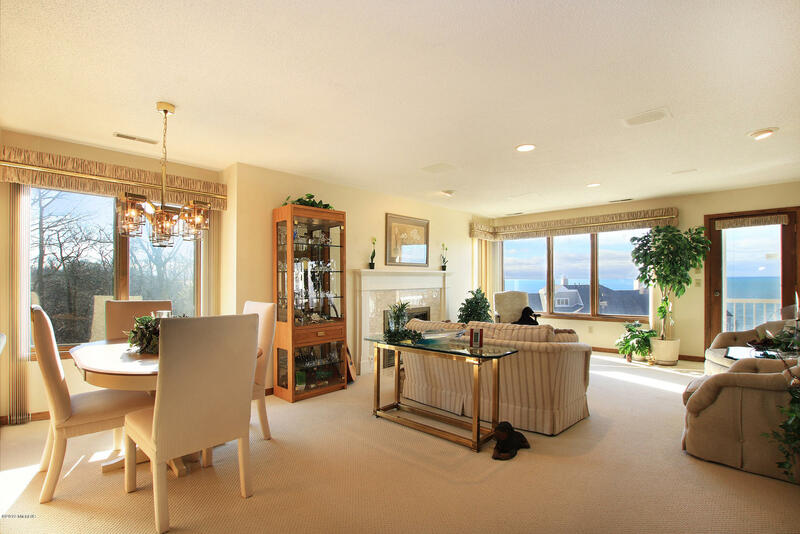 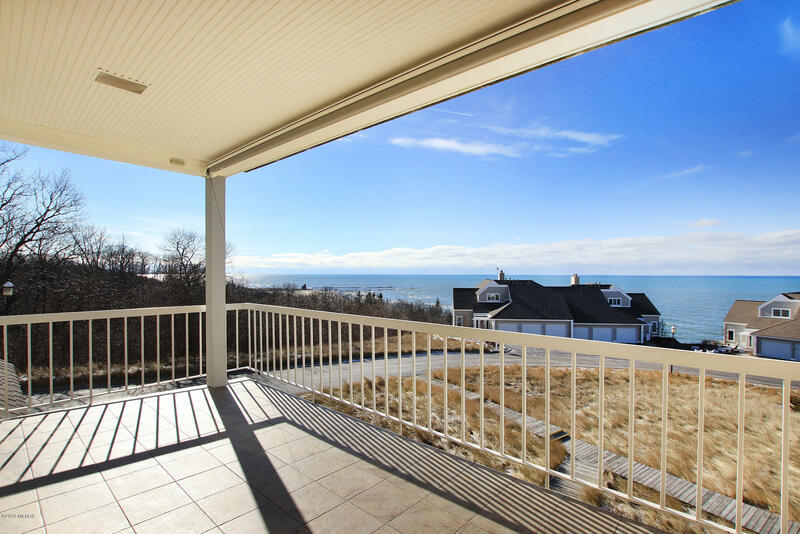 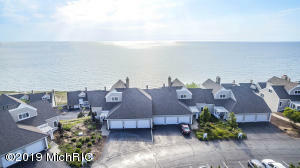 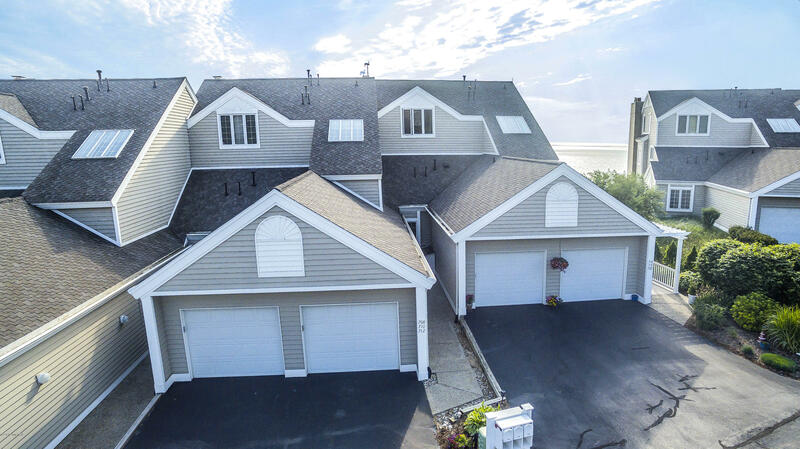 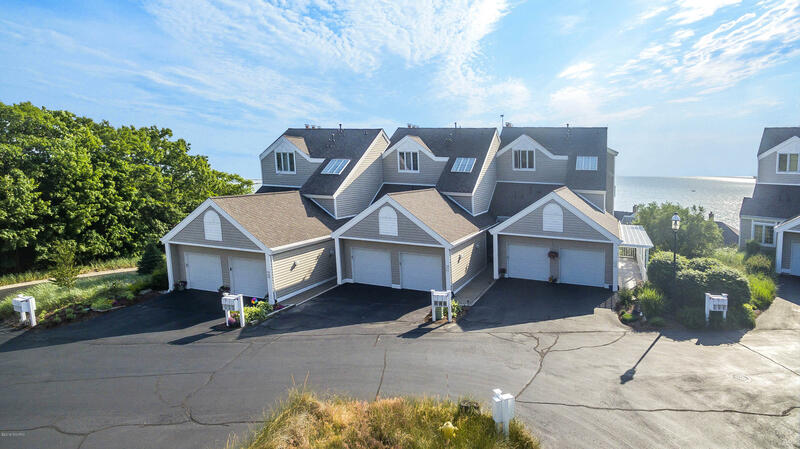 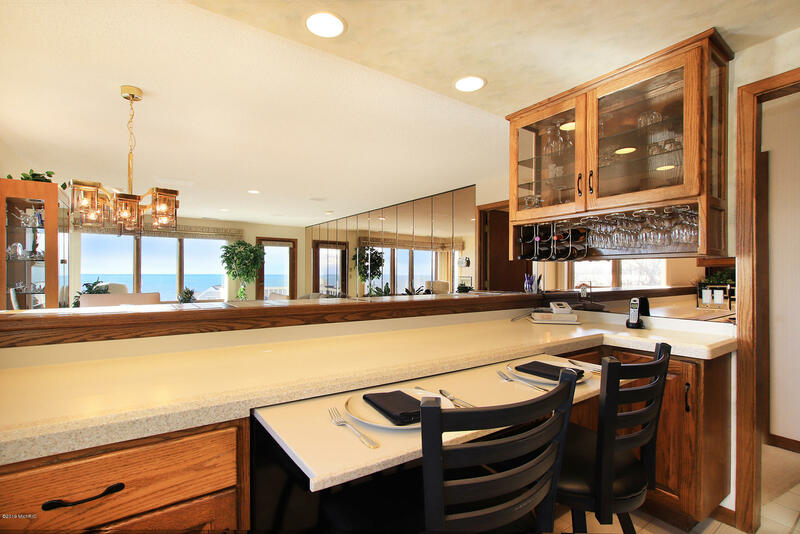 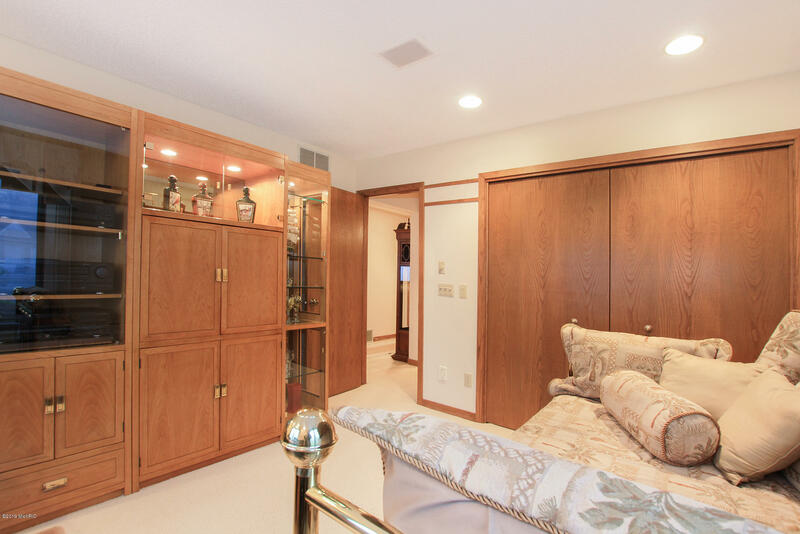 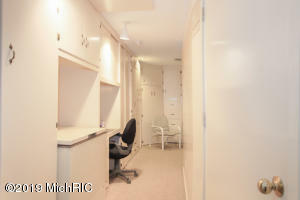 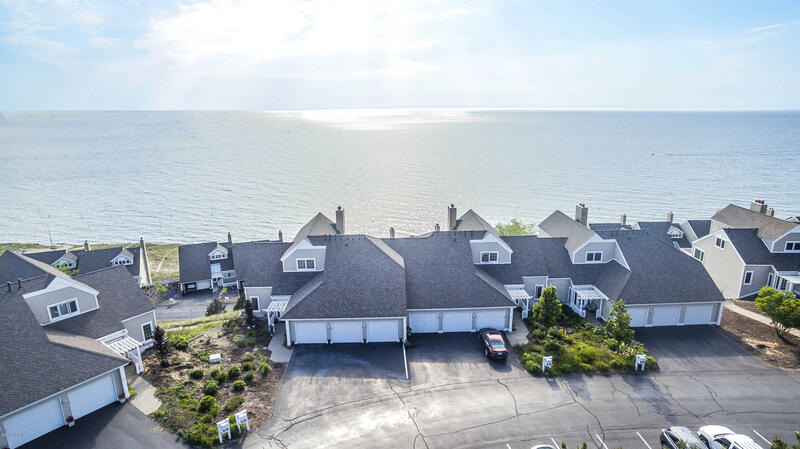 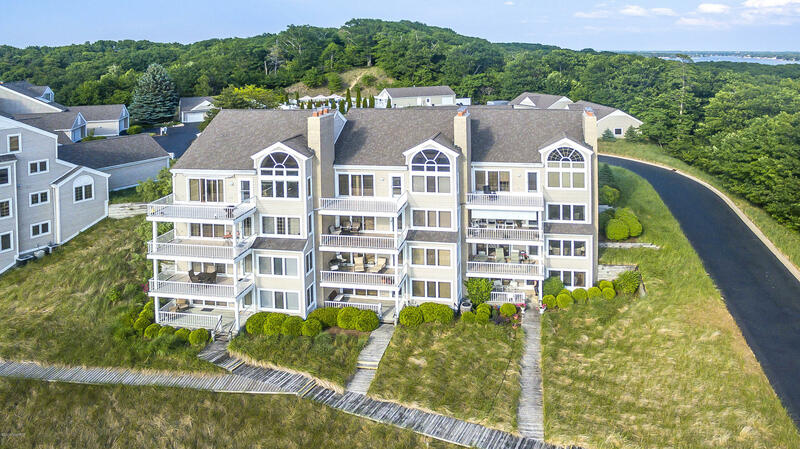 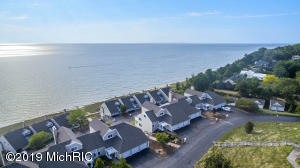 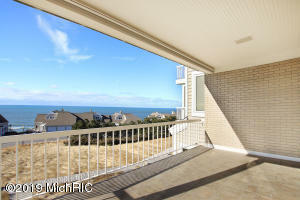 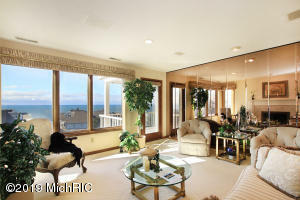 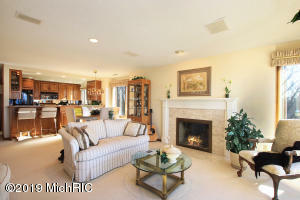 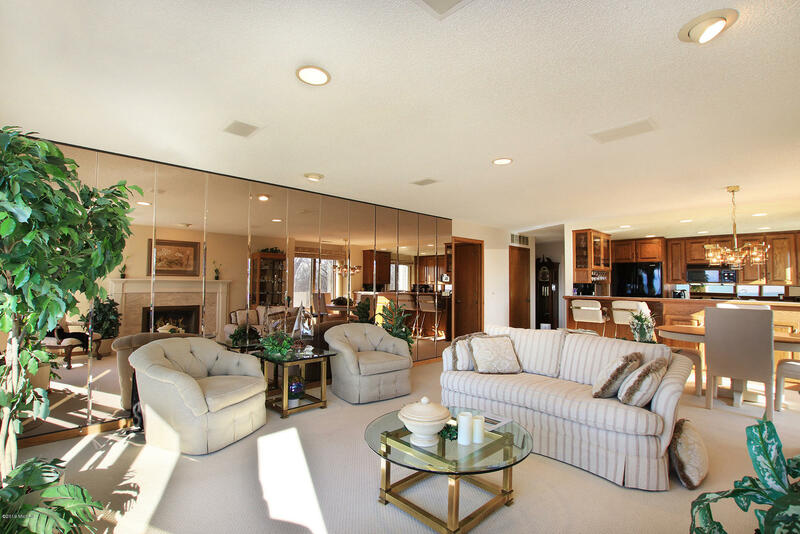 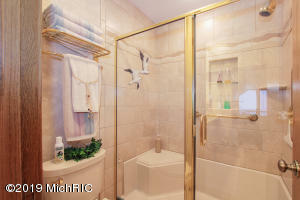 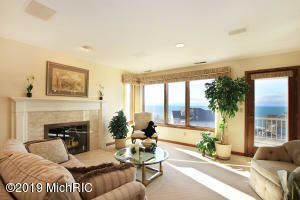 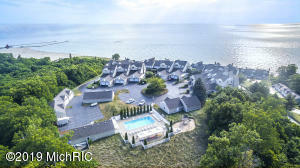 This fully furnished exclusive condo offering is a luxurious home on Lake Michigan. 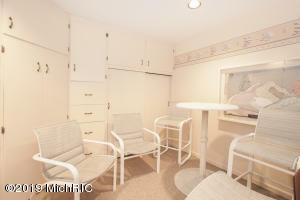 The no-step condo boasts majestic views of the lakeshore, capturing painted sunsets and Big Red Lighthouse. A corner end unit, the open-concept interior features fireplace, large kitchen, and refined design. 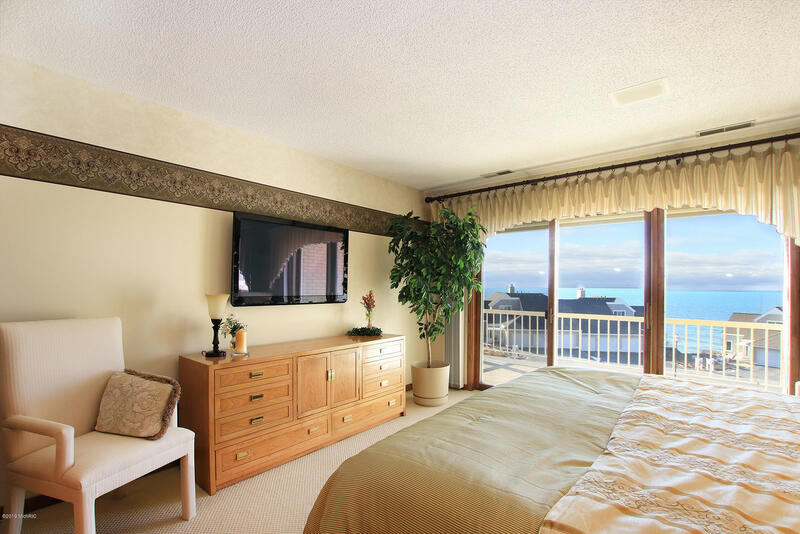 Retire to the master suite, complete with deck access. 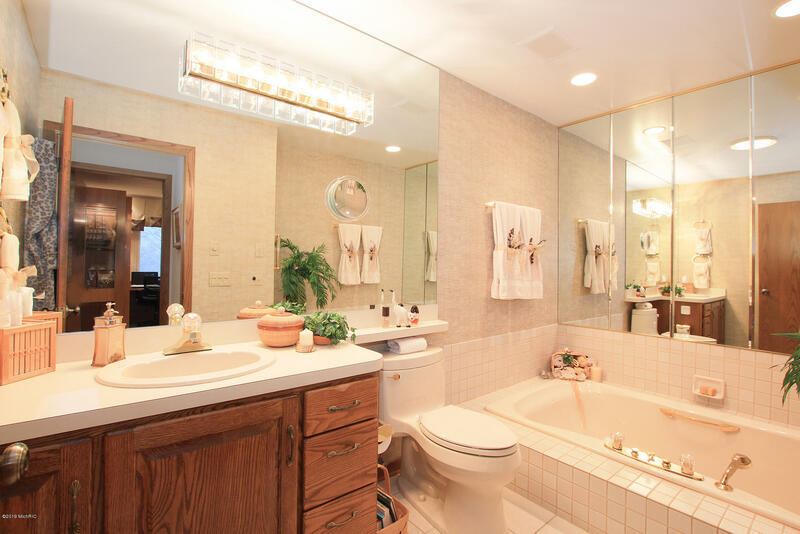 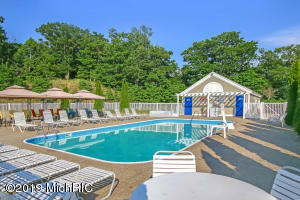 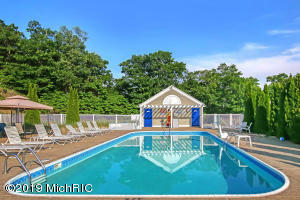 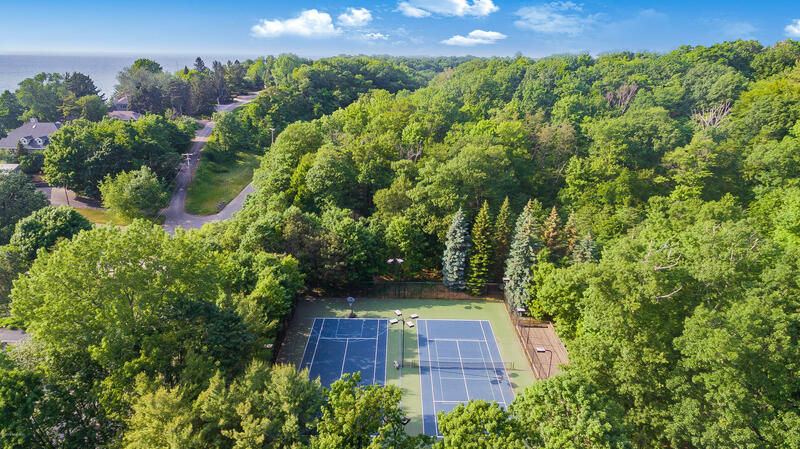 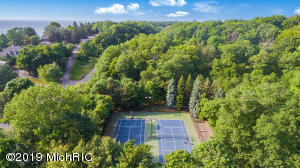 Amenities include tennis courts, heated in-ground pool, great beach and nearby walking trails. 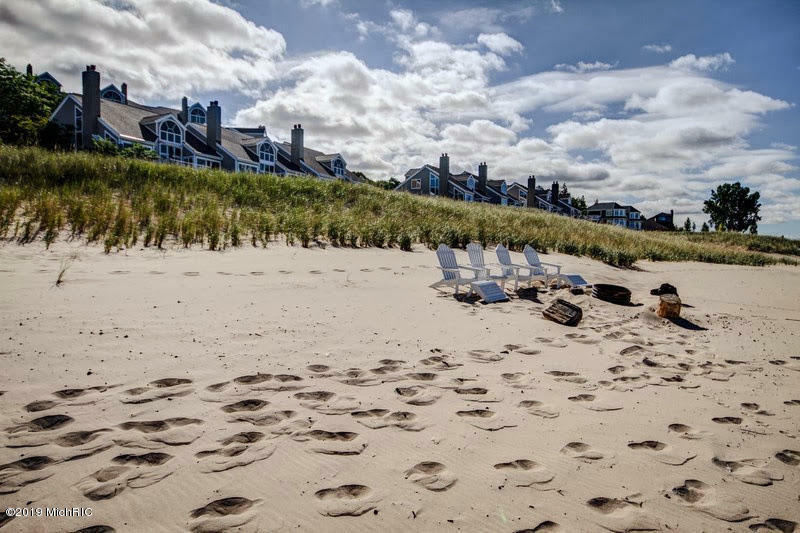 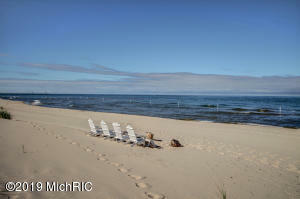 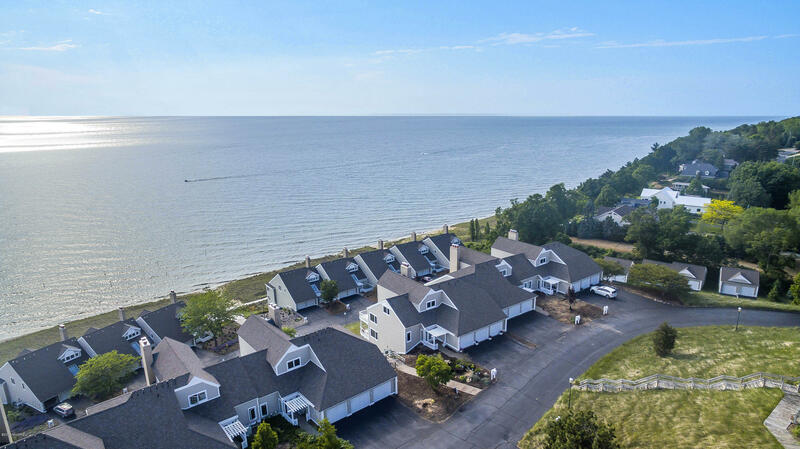 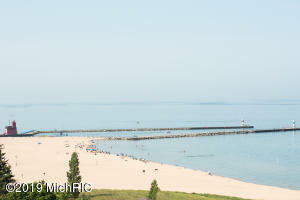 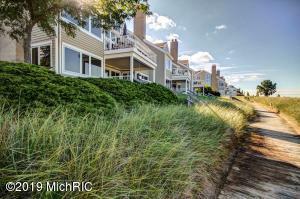 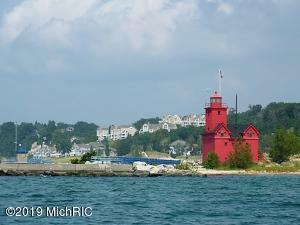 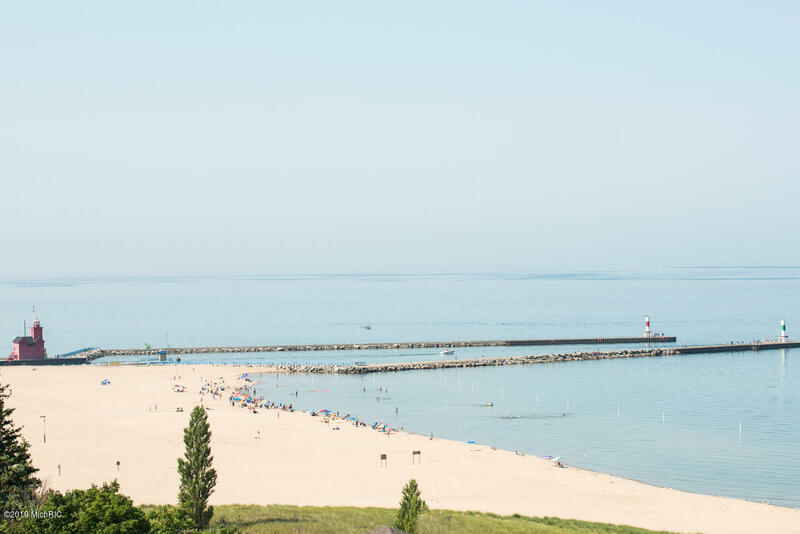 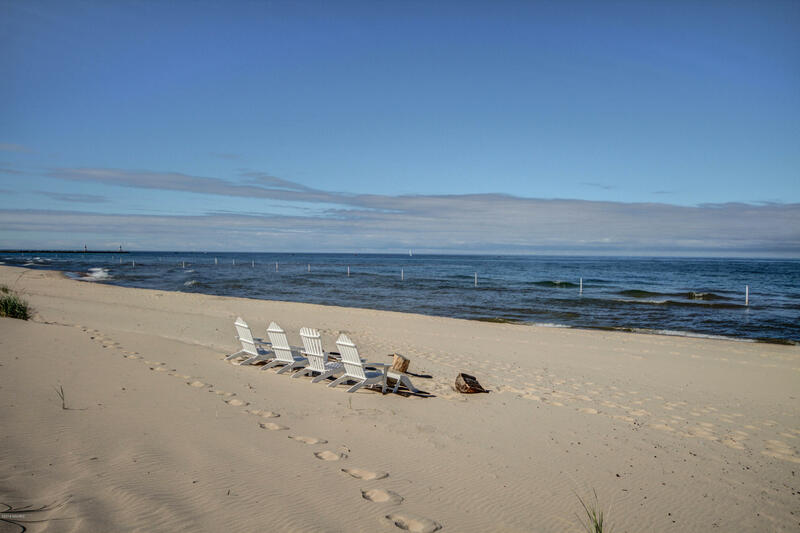 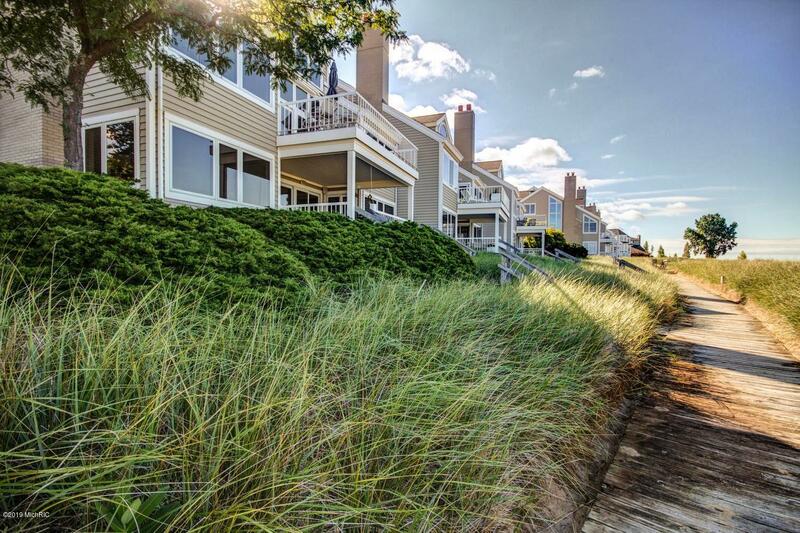 Drive or walk to the two beach access points of Lake Michigan's incomparable shoreline. 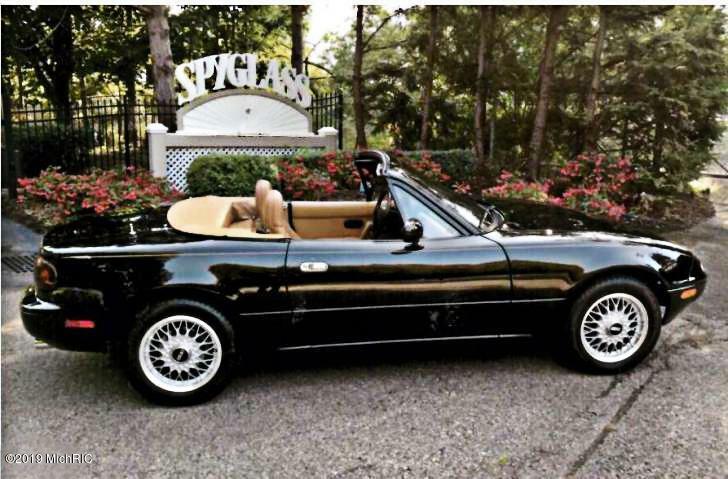 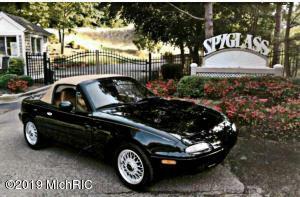 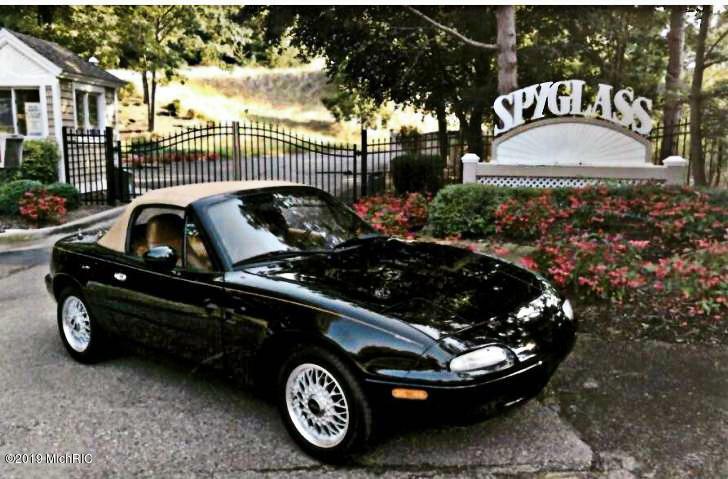 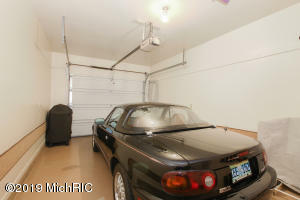 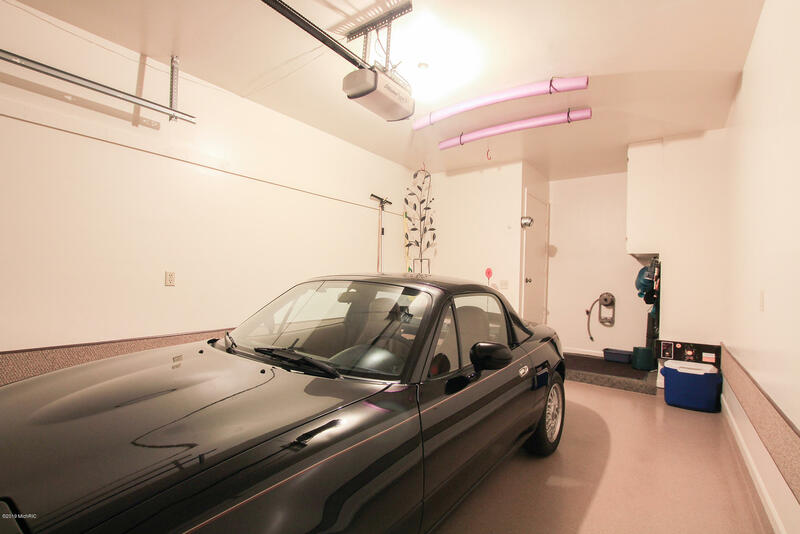 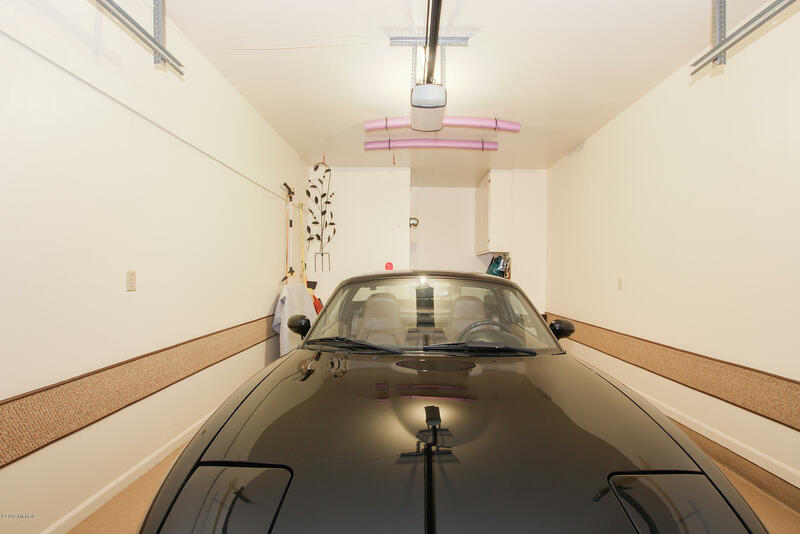 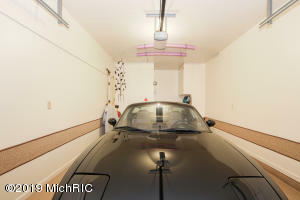 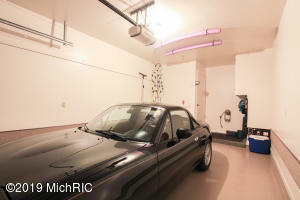 Furnished and convertible Mazda Miata included.